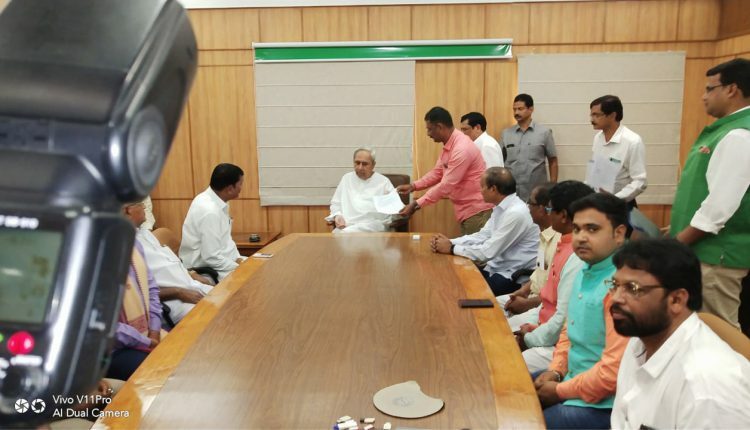 Bhubaneswar: A huge delegation comprising members from all major political parties and elected representatives met Chief Minister Naveen Patnaik today in Bhubaneswar to present a memorandum regarding the formation of Padampur district, now in Bargarh. 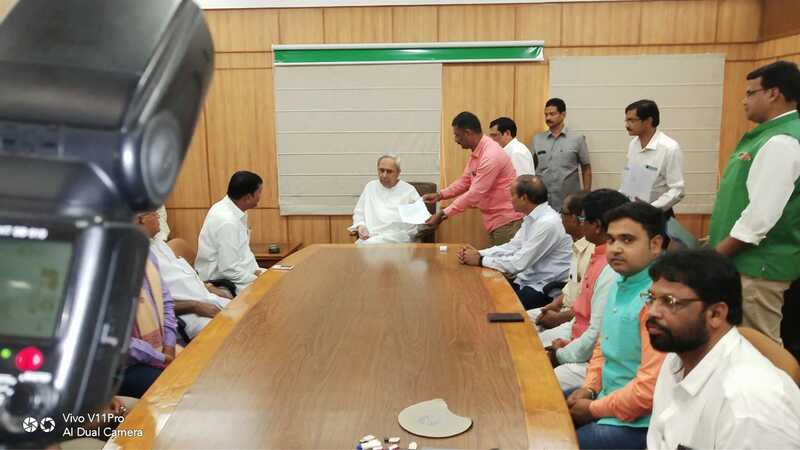 Padampur district formation joint action committee convener Ajit Kumar Satpathy handed over the memorandum to the chief minister in a meeting held at the third floor of the secretariat. The delegation also discussed with the CM to intimate him about the big benefits people of the proposed district could reap. Claiming it to be a positive discussion Satpathy intimated that the CM assured to surely consider the demand. The delegation constituted of Padampur MLA Pradip Purohit, former Minister Bijay Ranjan Singh Bariha, former MLA Satyabhusan Sahu, Jharbandh block chairman Bijay Pradhan, Paikmal block Chairman Altaf Muhammad, Padampur block chairman Kumarmani Naik, Bar Association secretary Santanu Tripathy, Bijepur Bar secretary Ashok Mahana, Advocate Sushanta Barik along with Paikmal citizen committee members Nilamani Panda, Raju Sahu, Premsagar Faujdar, Pranaya Sahu from Gaisilat block, Ranjan Panda, Manoj Panda, Sarpanch Deben Joshi and Jharbandh Action committee member Biradaitya Sahu and Binod Kalia. Talking to this reporter the action committee pleaded that Padampur sub-division under Bargarh district justifies being provided with the district status for many reasons. The members further maintained that distance of Padampur from the District Headquarter is 80 km. Moreover, remote blocks of the district like Jharbandh and Paikmal are more than 150 km which itself is an obstruction for the development of the area. Besides, the area also lacks a proper irrigation facility and industry as well as in the health and education sector. Hence, as for now, it is a backward and poor subdivision. And all these menaces can be curbed only if the subdivision would be given a district status. 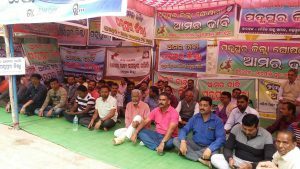 It is to be noted that the joint action committee had set in dharna for long days recently in Padampur demanding district status.